One of the great figures of Azerbaijani literature, People´s Poet Bakhtiyar Vahabzada died on 13 February at the age of 84. 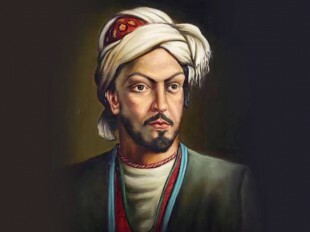 People´s Poet Bakhtiyar Vahabzada, a prominent representative of Azerbaijani literature and 20th-century poetic thought in general, is famous in the republic and far beyond its borders as a poet and philosopher, lyrical dramatist, talented scholar and writer and fearless public figure. He is well known for his honesty, decency and sincerity. His works - poetry, plays and articles - have been translated into many languages, including English, French, German, Persian, Turkish, Polish, Spanish, Hungarian and the languages of the former Soviet Union, and have earned popularity and respect. Bakhtiyar Mahmud oglu Vahabzada was born in Shaki in 1925 and moved to Baku in 1934 together with his family. 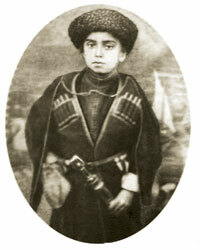 In 1942, he finished secondary school and entered Baku State University´s department of philology. 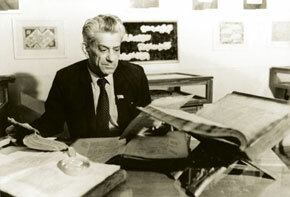 He graduated in 1947 and was admitted to the university´s post-graduate department. In 1951 he defended his PhD paper on Samad Vurgun´s lyric poetry; in 1964 he defended his monograph on Samad Vurgun´s life and work and received the academic degree of doctor of philological sciences. corresponding member of the Azerbaijani Academy of Sciences. Vahabzada authored over 70 poetry books, two monographs, 11 academic books and hundreds of articles. His plays were staged at the Baku Academic State Drama Theatre: Conscience, Second Voice, After the Rain, The Tracks on the Road, Scream, Where is This World Going?, The Sword Slaughtering Us, Unpunished Sin and The Gallows. He is the author of over 20 long poems on historical and contemporary topics. Hər kəsin arzusu, kamı deyilmi? Hansı gizli əldir pozan, düzəldən. Hərə ürəyincə bir mənzil bəzər. Bu da ağlımızın kəmi deyilmi? Bir nəfər özü də hamı deyilmi? last 30 to 40 years. Vahabzada organically linked his artistic, academic and writing work with his public and political activities. 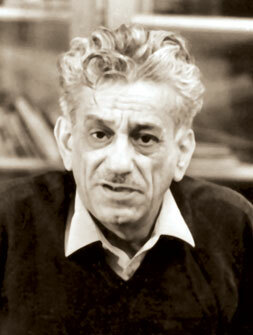 He was elected a member of Azerbaijan´s Milli Majlis, or parliament, five times (1980-2000). Bakhtiyar Vahabzada was one of the leaders of the national liberation movement which started back in the 1960s. In the poem Gulustan, which he wrote in 1959, he spoke about the historical tragedy of Azerbaijan which had been divided into two. He joined the just fight for the freedom and independence of the Azerbaijani people who were groaning in the clutches of the Russian and Persian empires. Because of this poem, he was expelled from the university in 1962 under the label ´Nationalist´ and was reinstated only two years later. Using symbols and various literary devices, he expressed the grief of a nation whose national existence was trampled on under the Soviet regime and who suffered all kinds of privations. In his longer poems and plays he spoke about his nation´s grief by transposing events to other historical periods or other countries. 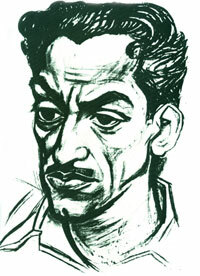 The poet published his works which directly denounced the Soviet dictatorship under the title Voices from the Trunk after the Soviet Union collapsed. and tirelessly fought for the purity of our mother tongue. You can never be lonely. And you will hear the echoes roll. Vahabzada´s house became a place of hope for the nation. Every day he received dozens of letters from various villages and districts of the republic and received numerous complainants in his home, listened to them and tried to solve their problems as well as he could. He gained everyone´s deep respect and love as a true defender of people´s interests, a true patriot and public figure for his speeches in parliament, at public and political meetings and in the media. The people´s interests became this citizen poet´s own interests. His writing honoured the nation´s wishes and dreams and tried to make them reality.